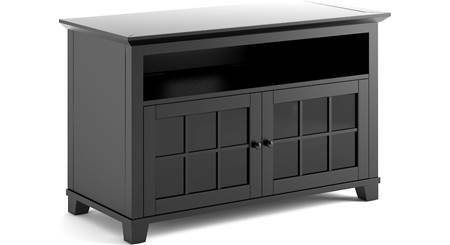 Audio/video cabinet for TVs up to 55"
The Salamander Designs Traditional SDAV1 cabinet is ideal for a small home theater system. 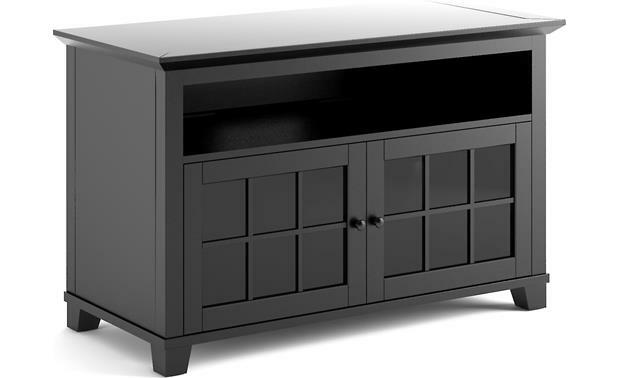 The Salamander Designs Traditional SDAV1 cabinet is ideal for a small home theater system. Traditional furniture details, such as the simulated panes in the door panels, and a beveled cabinet top, make the SDAV1 an attractive addition to most any décor. Open back panels provide ventilation and make it easy to connect components. 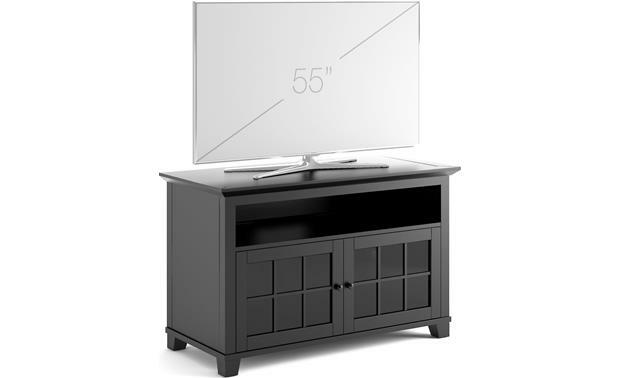 The sturdy cabinet top can support a TV up to 55” and weighing up to 100 lbs. 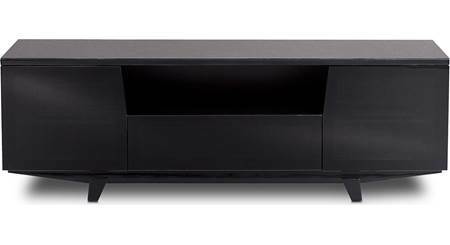 The cabinet's open compartment is ideal for a center channel speaker, sound bar, or component. 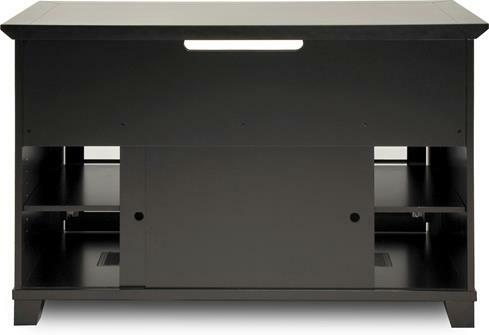 Both lower compartments have an adjustable shelf, letting them each store two components. Glass panel doors hide your components, while allowing IR signals from your remote to pass through. Beautiful and quality media cabinet. Very happy with our purchase! 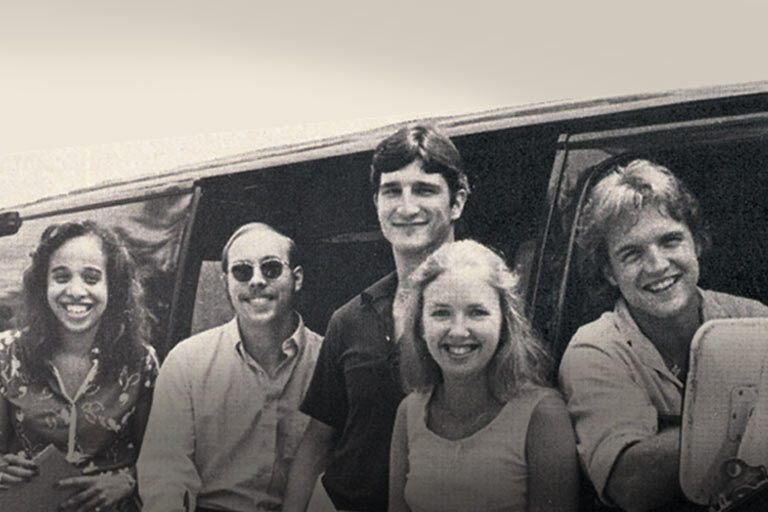 will the remote work with the cabinate doors closed? AV Basics Stand: The Salamander Designs SDAV1 AV stand is part of their AV Basics collection which offers performance, style, and value. It features a traditional, classic design in a black or cherry finish that will fit into almost any decor. Quality Construction: The AV Basics collection SDAV1 AV stand is solidly built with quality construction and premium hardware. Framed Wood Doors w/ Glass Panel Inserts: The SDAV1 features two framed wood doors with integrated mullions and glass panels. The remote-friendly glass panels allow IR pass-thru for remote control of electronic components. 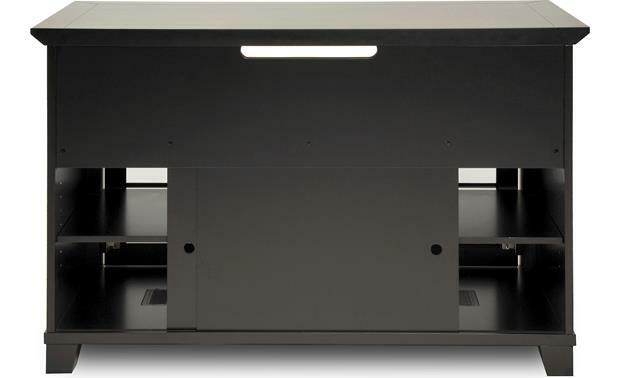 TV Shelf: The Salamander Designs SDAV1 AV stand's top shelf will support up to a 55" flat-panel TV, weighing up to 100 lbs. It measures 50" (w) x 31" (h) x 22.5" (d). Enclosed Shelves: The AV stand's lower shelves are enclosed behind two wood-framed/glass-panel doors. 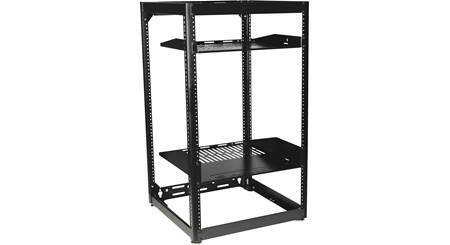 Each enclosed compartment features one adjustable upper shelf and one fixed bottom shelf. Each enclosed compartment measures 21.25" (w) x 16.625" (h) x 18" (d). Mine works fine I think it's designed for that and yes it works well with the doors closedEnter an answer to this question. My sons wireless xbox controls work through the doors. But my stuff that I use a remote for I have on top. Some remotes have a stronger signal, so it's hard to say, but my experience with this cabinet is that it does. It would help if you keep the unit as close to the glass as possible and direct the remote to the unit instead of the TV. I think you will fine. Yes it will. If the remote transmits the signal by IR, the beam still passes through the glass. RF signals have no trouble passing through wood or glass. This is a really good cabinet. It conceals the wires and is easy to wire from the back as there are sliding / removable doors. yes the remote will work. The doors are glass. what size is the top opening for a center speaker ? The center channel opening (just below the top shelf) measures 43" (w) x 6.8125" (h) x 19.3125" (d). Hope that helps! 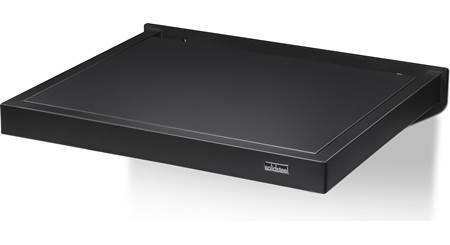 Searches related to the Salamander Designs Traditional SDAV1 Audio/video cabinet for TVs up to 55".